Situatedataproximatedistancefromthefamouslandmarks,Jiwi rooms Budget Stays4275providesarelaxingstay. Placed at a mere distance from MK Garden, Jiwi rooms Budget Stays4275 provides comfortable accommodation in Varkala. It comprises of 7 well-kept and spacious rooms spread across 3 floors. Each room has amenities like cupboard, fan, chair and desk. Some facilities include 24 hour front desk to name a few. Jiwi rooms Budget Stays4275 in Varkala also offers services like room service and daily housekeeping to its guests. 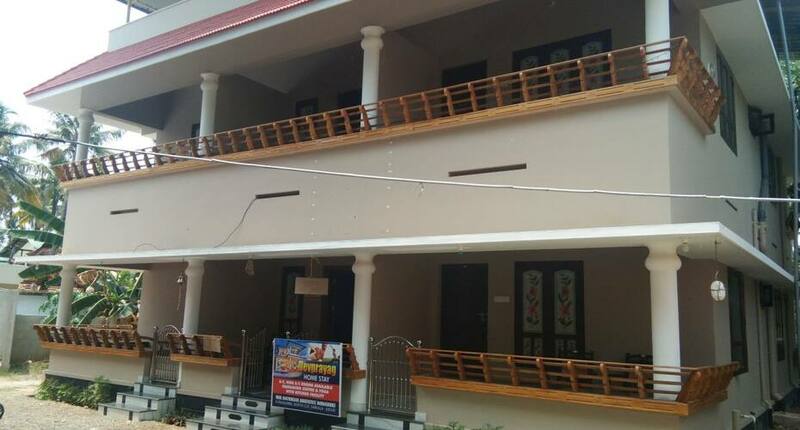 The Jiwi rooms Budget Stays4275 in Varkala is accessible via travel hubs such as Varkala Sivagiri Railway Station (4 km) and Trivandrum International Airport (43 km). Places worth a visit include Papanasam Beach (2 km) and Varkala Beach (2 km). What people love the most about this property is its great location and classy ambience. Book now and enjoy world class services at Jiwi rooms Budget Stays4275. Full refund if you cancel this booking by 07-Mar-19 12:00 PM IST. First night cost (including taxes & service charge) will be charged if you cancel this booking later than 07-Mar-19 12:00 PM IST.